Will the Green Party be getting your support in the 2017 General Election. Why not show your support for Caroline Lucas and Jonathan Bartley by wearing your Pro Green pin badge. 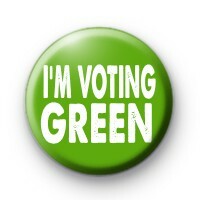 This is a 1 inch button badge with the text I'm Voting Green.